There were plenty of special LEGO photo ops throughout the park. 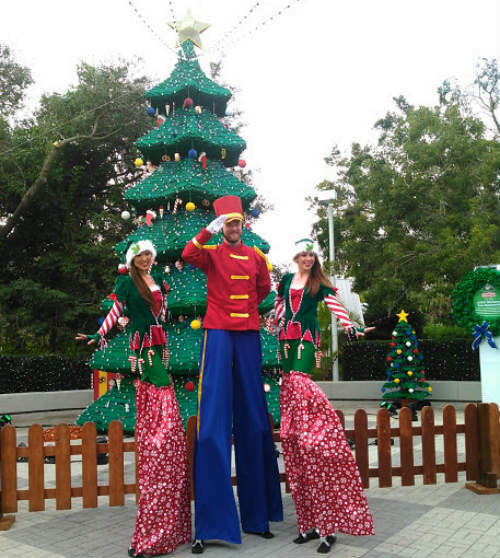 The first one upon entering the park was the LEGO Christmas tree, which at the time we walked by was flanked by two elves and a toy soldier, all on stilts. The elves were later found by a huge LEGO wreath that was perfect for holiday card photos. 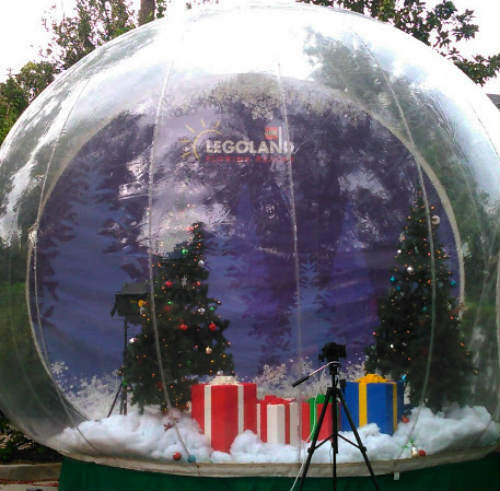 My favorite photo op was across from it: a huge plastic dome that made it seem you were inside a snow globe in photos. Down by Miniland, USA, there were several LEGO holiday activities, from holiday builds to writing a letter to Santa. 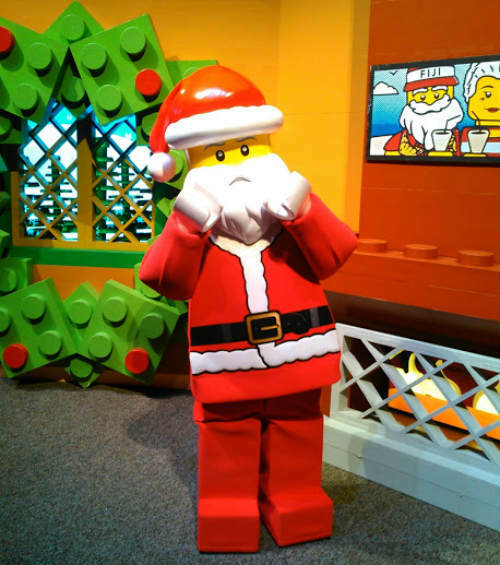 Speaking of Santa, we found LEGO Santa in Heartlake City, taking photos with all who cared to venture inside. There was also a new Holly Jolly Jubilee live show, but we kept missing the show times, as it was towards the back of the park. 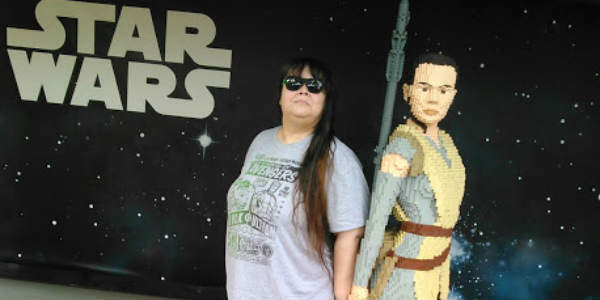 Walking by the carousel, I was surprised to see that the life-size Emmet and WyldStyle figures had been switched out for a LEGO Rey from Star Wars. I took advantage of this for a photo, of course. But Emmet and WyldStyle weren’t gone from the park. I found them in the corner of Duplo Valley, guarding a large wall proclaiming the arrival of the LEGO Movie World section of the park in 2019. I can’t wait for this! 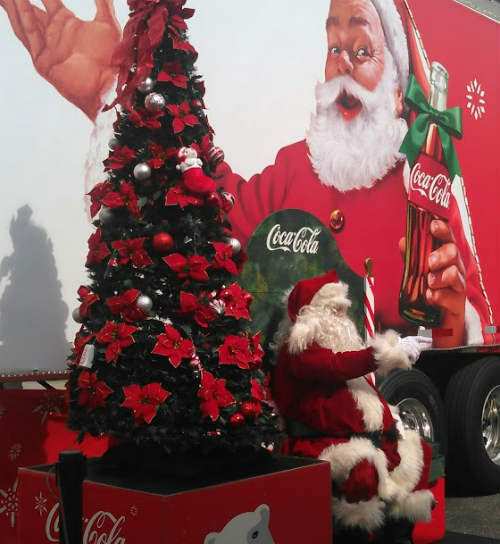 As we left LEGOLAND Florida, we also found the Coca-Cola Santa truck parked outside the entrance, with a special appearance by their Santa taking photos with all. 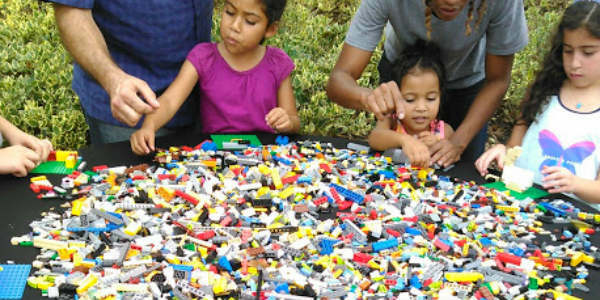 If you have LEGO fans in the family, Christmas Bricktacular is a fun way to enjoy the holidays. Best of all, it’s included with regular admission to LEGOLAND Florida. 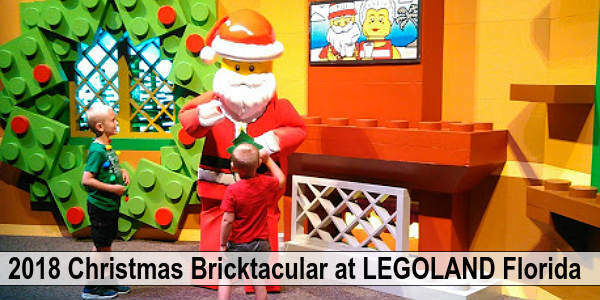 Christmas Bricktacular runs Dec 8-9, 15-16, and 22-25. From Dec. 26-31, the holiday decorations are still up, but Santa and the holiday show are replaced by a Kids’ New Year’s Party featuring a nightly fireworks show, dance parties, special building activities and more. 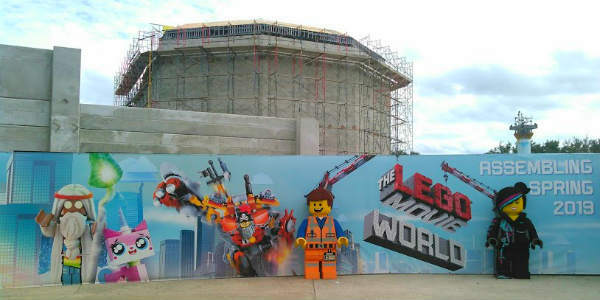 For more information, visit LEGOLANDFlorida.com. Disclaimer: We were provided admission to LEGOLAND Florida so we could experience the Christmas Bricktacular event for this review. As always, CSO’s opinions are honest and our own. This looks like so much fun…and so festive! Would you believe in all these years we still haven’t checked out LEGOLAND?